Located only about a couple of hundred yards from the Grand Opera House the Ginger Bistro is in an ideal position for a pre theatre meal. 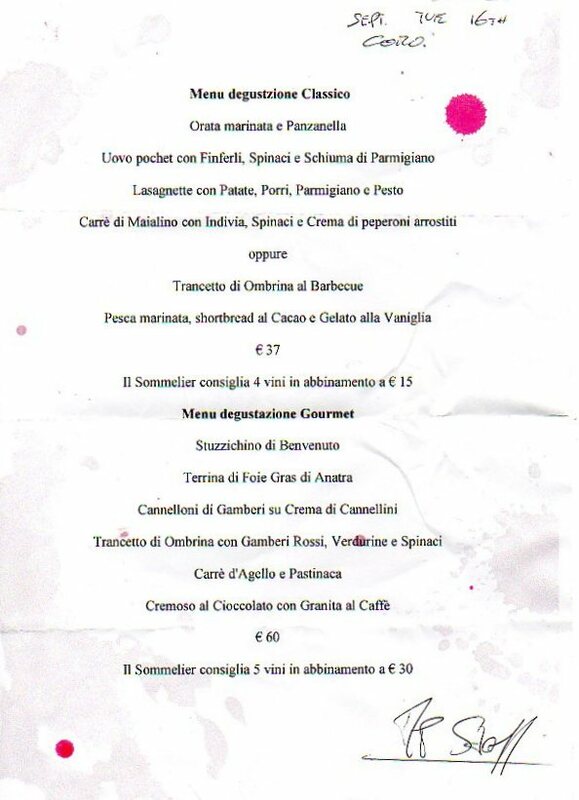 The menu which runs from 5 to 6.45 is an extremely well priced truncated version of the main menu. We ordered a plate of breads to share which came with one of the best tapenade I have tasted. Oh yes; and a perfect melt in the mouth wheaten. As mains we opted for the pies, one fish and the other a Shepherd’s. The shepherd’s included perfectly cooked lamb, in large chunks, chorizo and black pudding. Both came in individual pie dishes piping hot. The potato topping was nicely browned without being dried out. Altogether very appetizing. We accompanied them with chips and a bottle of South African Shiraz. I took an Americano to round it all off. Total bill £45.00. The service was personal and efficient so we will no doubt be back. We visited for Sunday lunch on a Groupon voucher. The menu was pretty comprehensive and all available. We chose the goats cheese with parma ham and whitebait as starters both of which were very good. For mains my wife had Roast Sea Bass with prawns and capers on samphire with new potatoes whilst I had the duo of Monkfish and Mackerel with sweet red onions, roast potatoes and a massaman curry sauce (which I had on the side). They have a very nice Chablis which complemented the fish really well. We followed it up with the cheese board. The cheeses were ripe and tasty and served with crisped homemade bread. I do not think the prices were exorbitant given the quality and quantity of the dishes and £24.00 for a good Chablis is not over the top (we didn’t realize you could bring your own wine). 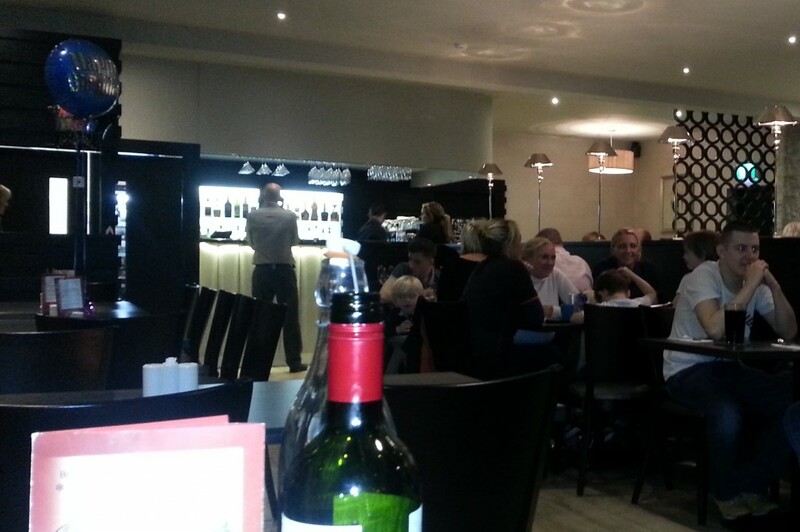 The staff were very young and friendly if not totally au-fait with the dishes but then this was not Deanes. The decor is definitely different but does not detract from the atmosphere. An enjoyable experience and we will probably call again. Too much trouble to cook yet again so called in to Knags this evening at around 6.30. Good job we didn’t leave it any later as within an hour they were queued up to get a table. As per our last visit the service was great as was the Scampi (real shellfish in crisp batter – not the usual mush in a soggy stodge) and the chicken stack. Carrots that tasted of carrot and a very nice little side salad. No problems getting a ramekin of mayonnaise to go with the skinny chips (you really should try chips and mayonnaise). House red is a very palatable Chilean Cabernet Sauvignon. Rounded it off with vanilla pod Crème brûlée and an espresso. Glengormley has needed a quality restaurant that caters for tastes other than India and Chinese for some time and at last it is here. The staff are wonderful and take an interest in the clientele. 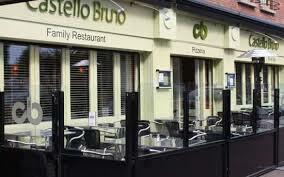 The menu is varied and changes dependent on time of day and day of week so you are covered for everything from a bacon butty to sea bass and prawns with garlic and chilli. We shared mixed breads with dips to start and then cod gougons with mushy peas for my wife and sea bass and prawns with garlic and chilli dip for me. these came with a choice of potatoes, ours garlic saute, and mixed vegetables. We washed it down with a very palatable Chilean Cabernet Sauvignon. Did not try the sweet menu but ended with an espresso. Bill £48.00. No complaints at all. 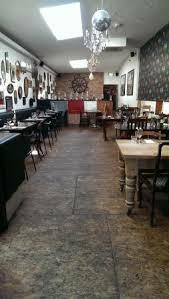 Booked a table for Josephine s birthday this evening. As usual Michael Deane’s Love Fish restaurant is top of the list. 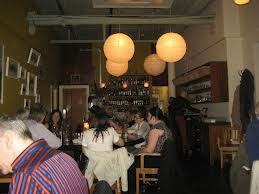 What I like about it is the smooth service with a touch of humour and great cuisine. Starters were Jamesons and ginger and a Bombay and tonic and then on to the serious subject of food. The seared scallops with samphire, pancetta and garlic served in individual shells are to die for and the crevettes in garlic butter with sourdough take some beating. We chose a bottle of 2012 Pecorino to accompany the meal and it has a perfect light touch that is just that bit more delicate than the Pinot Grigio that would have been my usual choice. For mains Josephine took the fish pie and I the grilled salmon with Bombay potatoes and curry oil. We had a side of beef dripping chips. the latter are an indulgence not to be missed! The fish pie is the best we have tasted. Not only is the filling a selection of fish with a light touch of sauce but the buttery mash topping is so light as to be melt in the mouth. The grilled salmon has a light crust and the curry oil gives the Bombay potatoes a pleasant “kick”. A perfectly balanced combination. The portions are balanced so that one can partake of three courses without feeling bloated so of course we chose the cheese, accompanied by a very palatable 10 year old port. I am not one for chutneys so this accompaniment was lost on me but the “fromage de jour” was first class. In fact it was better than the selection that Josephine was serves a a birthday special. To finish off I took the Bepi Tolosini grappa which is one of the smoothest I have had outside Italy. Bill total including the 10% £140 of which £63.00 was drinks. Money well spent! !